The house I grew up in had all manner of devices besides that light switch, including a whole host of X-10 capable switches and modules. 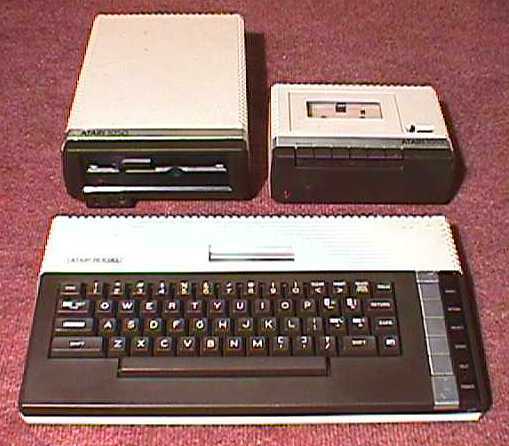 Even my Atari wasn't the plain game console you might picture in your mind, but the full-keyboard equipped 800 XL, replete with floppy drive and cassette drive. When I got a little older and had some money of my own, one of the first things I did was build my own Linux box, because why the hell not, right? The few times I found myself in front of a Mac, I wasn't much of a fan. Mac OS X drew me in first, with its promise of Unix under the hood (I never did get that Linux box to a place I could use it as my everyday computer) combined with a more-pleasing user experience. Plus, no freaking Registry. When the iPhone came out, I didn't buy it because it's an Apple product, but because I used it and it was freaking awesome. But you don't know all of that when you ask me what computer to get an I recommend a MacBook Air, or when I ask (innocently, I swear), why you got a particular Android device rather than the Apple counterpart. If Microsoft came out with an OS I thought was better and it ran on a device I thought was better and I was in the market for a new device, I wouldn't hesitate to buy it. Actually, as much as I moan about my work Windows 7 machine, the OS is just good enough that, if it had been out back in 2003, I don't know that I'd have felt compelled to try OS X.
I like my Apple products because they're incredible gadgets. If I had unlimited funds, I'd also own various Android and Windows products, though I don't know if they'd be my primary devices. So, keep calling me an Apple fanatic if you must, but if you ask me for computer advice, I'm going to keep recommending the stuff I think is the best.